It devilishly tells the story through the eyes and experiences of a small group of quirky outsiders who managed to be among a handful of fund managers who spotted the fraudulently inflated subprime housing bubble. These guys (and, yes, they are all guys) made billions of dollars by betting against the bubble before it popped (which is referred to as "shorting," hence the "big" short). Basically, Wall Street made a killing inflating the bubble on the way up and these guys made a killing after the bubble popped on the way down. But The Big Short tells a much larger and more important story: it's about Wall Street's un-regulated, un-policed and out-of-control gigantic banks and their bankers making huge, high risk bets in an insatiable pursuit of billions of dollars in bonuses (more than $127 billion in New York City alone in the five years before the crash). Their demand for higher-yielding subprime mortgages and their creation of even higher yielding derivatives on those mortgages generated an irresistible incentive structure that was a ticking time bomb just waiting to blow up. That's what pushed our financial system to the brink of collapse and our economy to the brink of a second Great Depression, costing the U.S. more than $20 trillion. That's what The Big Short is really about. Remarkably, the movie is still highly entertaining and, based on the huge box office and many award nominations, a big success. That's because it tells the story in two very clever ways: first, it makes complex finance understandable in plain-English and, second, it does so in a comedy that is, at times, very funny. You will laugh, and you should, because a lot of things that led our economy to the edge of the abyss are absurd. People really thought housing prices could never go down. Banks were willing to lend to people who could never afford to pay them back and, often, were not even able to make their first mortgage payment. In fact, no documentation "NINJA" loans were common: No income, No job or assets, no problem; they ladled out the money, and pocketed their fees, of course. Real estate brokers got rich making such mortgage loans to, yes, strippers, and Wall Street bankers got big bonuses for packaging those mortgages into derivatives that were worthless and ultimately blew up. The fuse in this pile of dynamite was the Triple A ratings that the rating agencies blindly awarded to protect their market share, all brilliantly portrayed in the movie. But underlying the laughs are discomfort, alarm, shock and, ultimately, terror, not to mention seething anger, when you see the corruption of the entire system and just how close we came to a total collapse in 2008. The economist Howard Davies has written that the greatest protection against a financial crisis is fear, and The Big Short is fundamentally scary. Even more frightening is how, just seven years after the crash, the sick feeling that we were all facing the apocalypse in 2008 has faded away. Anger is another common and entirely appropriate reaction to the movie, even for those who don't know just how little things have changed. The banks are just as big as they ever were -- actually, even bigger. Michael Lewis, the author of the terrific book on which the film is based, has said he doesn't understand why the banks are still as big as they are. He says, simply, "They should have broken up the banks." He also wonders why banks are still allowed to fund themselves with minuscule levels of capital -- 6 or 7 percent, rather than 20 percent or more that would ensure that they will never pose that kind of existential threat to the country again. Adam McKay, the film's director, has said that when he talks to real people, they're in shock: "To this day, they really couldn't believe that this system was that compromised on every level. And they can't believe that no one went to jail." It's a question that still deserves an answer: how is it possible that no one has been punished for causing the largest financial crash since the Great Crash of 1929, which caused the worst economy since the Great Depression of the 1930s? 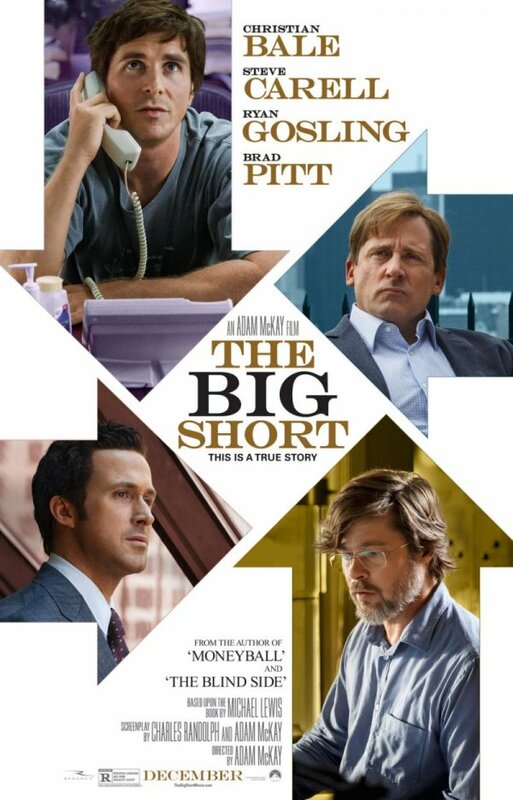 But the most frightening thing about the film -- and the thing that should make you the angriest -- is that The Big Short may just be a prequel. Actor Steve Carrell portrays one of the hedge fund managers who successfully shorted the biggest bubble in American history. As he puts it, "the more you learn about it, the scarier it becomes. One of the most frightening aspects was the title cards at the end that let you know it's possible and more than likely it could happen again ... This is not fiction. This all really [just] happened. And it's scary as hell." So go see The Big Short. Laugh. Be frightened. Get angry. But, then, get involved, because if banking and finance is left to bankers, as it was in the years before the crash, reforms will die, recklessness will return, financial criminals will again run rampant and it will all happen again.